HASTÁNC AKADÉMIA GÁLA - 2014.06. HO'IKE HAWAII TÁNC ELŐADÁS 2014.04. 2. HAWAII HULA TÁNCTÁBOR 2014.08. 3. 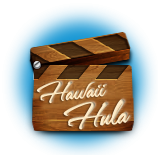 HAWAII HULA TÁBOR 2015.08.